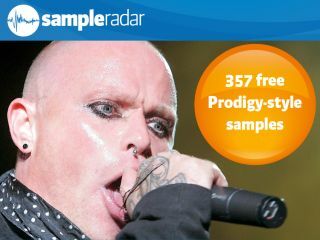 Keith Flint attempts to eat his microphone. Welcome to the fifth instalment of SampleRadar, the section of MusicRadar that's devoted to bringing you pro-quality, royalty-free samples. These aren't demo sounds, they're files to put in your archive and use in your music. This week, we're taking inspiration not from a particular genre but a specific band: The Prodigy. The samples were created around the time of their Always Outnumbered, Never Outgunned album, and come bathed in distortion and heavy limiting for some pure audio filth. The samples are split across three construction kits, each of which contains the likes of drum, bass, guitar, keyboard and synth loops, plus multisamples and single hits. The Prodigy-style kits are supplied as separate zip files, so you'll need to extract them before you can see the samples. Enjoy!